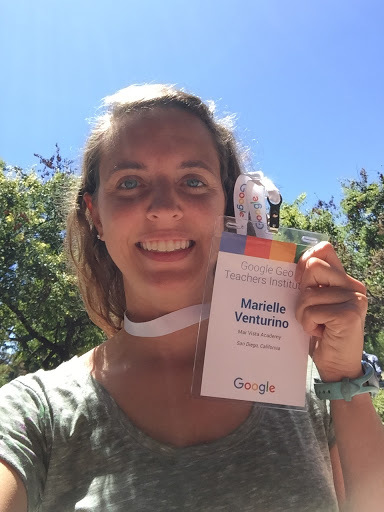 On Monday & Tuesday (July 25-26), I had the opportunity to join 100 teachers at Google in Mountain View, CA for the Geo Teachers Institute (#CAGTI16). The purpose of this institute is to explore the different Geo Tools and how they can be used in classrooms at any level. I’m not sure when the next GTI will be, but once applications open, I highly recommend that you all apply. Huge shoutouts to John Bailey and Emily Henderson for making this happen! It’s incredible how much I learned in 2 days! I’m thrilled to share some of the things I learned. My brain is still processing a lot of the information. We’re lucky that we’re already back in school so I can share with my colleagues and implement some of this within my classroom. I’m sure there will be a part 2 post in a few months with things I’ve tried with students. One of my favorite geo tools is MyMaps, which is also the only one covered under Google Apps for Education. I’ve explored it myself and used it with our Breakout EDU Digital games, but haven’t yet had students create their own maps. At GTI, many of the presenters shared photography and maps related to human impacts on our Earth. This ties in perfectly to what we learn in 7th grade science, and my brain was spinning with ways to have students create maps to show different regions in the world affected by deforestation, pollution, natural resources, etc. In fact, the Google Research Blog (The first detailed maps of global forest change) highlights how satellite data has been used to show deforestation; the blog also talks about the technology behind this, including the Landsat 7 satellite. Sidenote, I’m planning to use the blog post mentioned above as a text for my students to analyze in class later this year. Photo scavenger hunt for country pins. I didn’t find them all, but it was fun! And, I’d love to do this with my students. Additionally, MyMaps can be used as a portfolio for students to track their learning. Someone (sorry, I forgot who I was talking to! Remind me, and I’ll edit) was telling me how they’re using MyMaps in middle school history to have students track the civilizations they learn about from 6th grade through 8th grade. I’ve also suggested this to my history colleagues, and I’m hoping once I show them how, they’ll use it with students. We are also going to use MyMaps this year in our AVID classes to share students’ university projects: each layer will be a different teacher/class period, with an additional layer to show where all our teachers went to college! 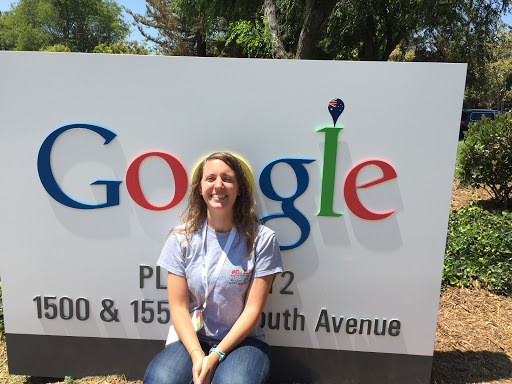 I didn’t attend the Tour Builder session at CAGTI16 because I went to Leslie Fagin’s session at the GAFE Summit in Mountain View the day before. I had played with Tour Builder before, but really needed to find a set place and time to force myself to actually learn it. I love all the possibilities with Tour Builder, including having students tell their own personal story, plot the settings in literature, or explore natural resources around the world. Here’s the tour of the UC Campuses I created in Leslie’s session. Ok, I’m obsessed. Google Earth Engine is an incredibly powerful set of data, easily accessible for everyone. Here’s the description from the website: “Google Earth Engine combines a multi-petabyte catalog of satellite imagery and geospatial datasets with planetary-scale analysis capabilities and makes it available for scientists, researchers, and developers to detect changes, map trends, and quantify differences on the Earth’s surface.” Click on the timelapse tab, and explore the different timelapses from 1986 – 2012. We also learned how to use the Google Earth Engine to make our own time machine tour, but at that point my brain was already too full, and I was content exploring the pre-identified time lapses that I can use in my classroom. 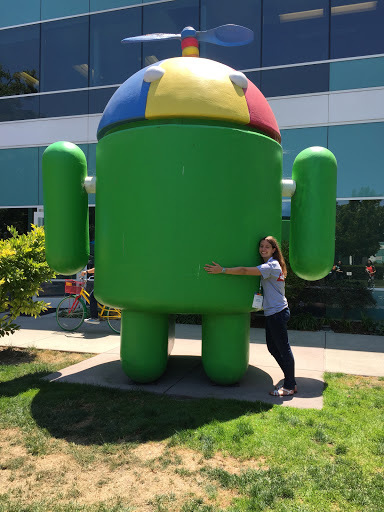 Made friends with a giant Android! Last May, we were lucky to have Google Expeditions come to our school for the pilot program. Our students loved the experience, and are hoping for more opportunities in the future. I’m looking for funding options to get a class set of mobile devices and cardboards for our students (we’re 1:1 iPad, so as soon as the iOS version comes out, we’ll be good to go) so we can continue our explorations. Using Maps and 360 images, I can have students explore different ecosystems around the world, make observations, and create their own collections. Within Google Maps, there’s an option to view collections of already curated images through Street View. These can be viewed on a computer, tablet, or within the Street View app. I’m looking for ways to add this into stations work, especially now that I have 3 iMacs in my classroom. I did just submit an app request to get the Google Arts & Culture app on our iPads. One big thing I learned in one of the general sessions is that there are 360 performances for music, dance, opera, and theater! You can look around within a performance, and even experience it from multiple views. 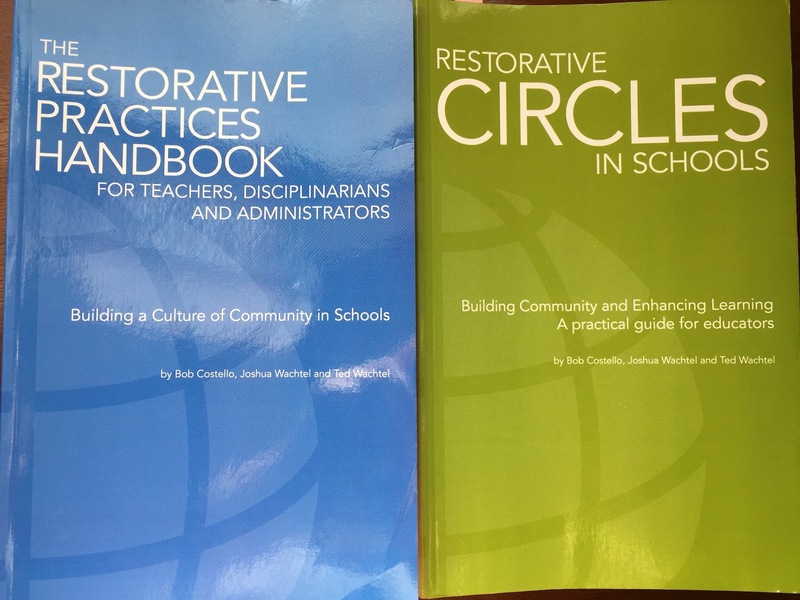 our district-level curriculum specialists to join in the learning, and to share across the district. Informally, I’ve already sat down with one of our math teachers to show how students can create polygons in MyMaps to explore area and perimeter, and to measure distances on a map. I am also planning to teach my Viking Tech Crew students about MyMaps so they can teach some of our teachers the basics as well. Here’s my notes Doc from CAGTI16 with links to resources and a few pictures and screenshots. Happy learning! There’s something powerful about being in a location with over 16,000 people who share your passion for technology in education. The annual International Society for Technology in Education conference took place from June 26 – 29, 2016 in Denver, Colorado. There was a wide range of learning opportunities, including sessions, workshops, panels, poster sessions, keynotes, and an expansive expo hall. As an ISTE first timer, I downloaded the ISTE app and immediately realized I was in over my head with the whole experience. I found myself very overwhelmed with the experience, and relied on the advice from friends. Even those who were not able to attend ISTE in person benefitted from the learning opportunities by following the #notatISTE16 and #ISTE2016 hashtags. If you’re not already on Twitter, sign up! It is the best place to share and learn with other teachers and educators from all over the world. Following the #ISTE2016 hashtag gives you access to presenters’ resources and the incredible learning opportunities at ISTE. When introducing yourself, exchanging Twitter handles is a must. This allows you to keep your ISTE learning going long after you arrive back home. I loved meeting many of the people I’ve connected with online. It’s ok if you’re an introvert, I am too. Find a meet-up for something you’re passionate about or interested in, and attend. There are plenty of meet-ups each night at a variety of local locations. Introduce yourself to at least one person, and ask them about that shared interest that brought you to the meet-up. Better yet, find your extroverted friend and tag along with them. Face-to-face conversations are often the best way to dive deep into your interested and learn more from others. One of my favorite ISTE sessions this year wasn’t an official session, but instead a group of people sitting on the floor in the Bloggers’ Cafe learning about creative thinking and sketchnoting. Multiple other pop-up sessions occurred throughout ISTE in the Bloggers’ Cafe and on Twitter; the easiest way to learn about these is through Twitter or word of mouth. I was lucky to be in the Bloggers’ Cafe to watch Sylvia Duckworth, sketchnoting master, give a short impromptu session. Gather a few people, sit down, and share something you’re passionate about! The official ISTE schedule is massive and there’s always at least a few things I wanted to attend during each session. I prioritized sessions and activities based on my current energy levels and which resources I could peruse on my own. Sometimes I found it more beneficial to browse the poster sessions with one or two in mind, then spend thirty minutes in the Bloggers’ Cafe recharging my laptop and my brain. At any technology or education conference, there seems to be an endless supply of cool things to learn about. There’s nothing wrong with going to a session to play around with something you’re interested in. Ultimately, you must ask yourself “how will this increase my students’ learning.” It was often difficult to prioritize which sessions to go to. Luckily, many presenters post their resources and I was able to preview their session and determine which I’d get the most out of. 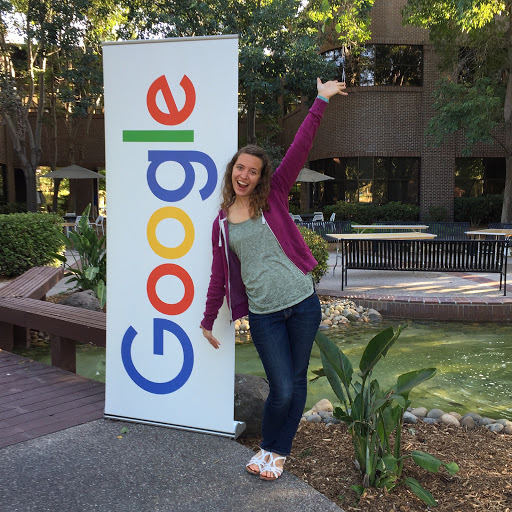 If you attend ISTE with a friend or colleague, it’s easy to attend different session and share resources via Google Docs. This is probably the most important takeaway from ISTE–you must give yourself time to process everything you learned. I hit the ISTE wall on Monday at 4:30pm after moving a million miles per hour for the first two days (I came early for pre-conference activities on Saturday); I took some time to relax in my hotel room before venturing out again. Find something to do that is not conference-related, such as going on a walk, sight-seeing, or eating with a group of friends with a strict no conference talk agreement. This helps give your brain a needed break to recharge and get ready to learn more. Overall, I’m thankful for my experiences at ISTE 2016, all the new people I connected with, and all the incredible learning that took place over 5 days. Hope to see you all in San Antonio for ISTE 2017! It doesn’t take much to get me excited, but it takes a lot to get me fired up. #CreateAccessibility has gotten me fired up, and I’m taking action! 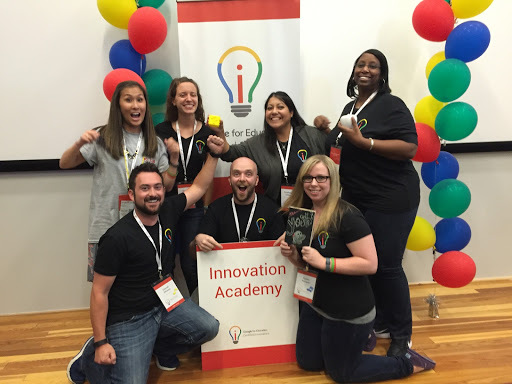 I recently returned home from the Google Innovation Academy (read more here), where I worked with 35 other amazing educators, 6 coaches, 4 program mangers, and many more Google employees and Innovators. The main purpose of the three intense days is to put together a project to solve a problem in education. I’ll share more on my project in the future, but right now I want to focus on my friend Melissa Oliver‘s project. 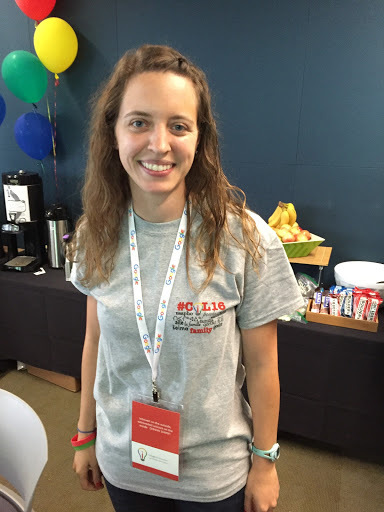 Melissa’s project, Create Accessibility, is centered around making online content accessible to all learners and all humans. Melissa says, “The one [COL16 takeaway] that feels the most urgent is the realization that If I want an accessible environment, I must create it. I can no longer wait for technology to be invented or perfected to make things accessible. I can no longer wait for policies or laws mandating accessibility guidelines within the online environment. 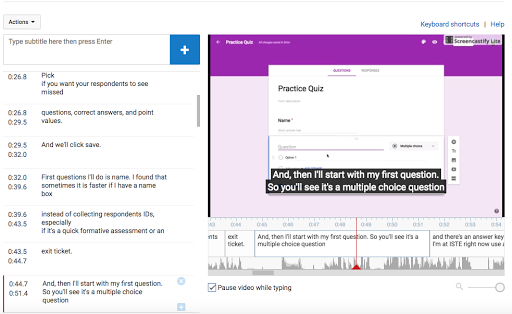 I can no longer expect people or organizations to utilize universal design principles.” She hopes to empower students and teachers to caption their own videos, which benefits not only Deaf and hard-of-hearing individuals, but also all our learners. I’m definitely not an auditory learner, and I’ve found captions very helpful when watching informational videos. When we were accepted to #COL16, Melissa messaged me and told me that there were some humorous errors in my auto-captions. (I forgot to get a screenshot, but I’m pretty sure “butthead” was in there somewhere.) I went in and fixed my captions, but then didn’t think much else about it. Just like Melissa mentions in her blog post “Curb Cuts, Captions, and Universal Design,” we don’t notice curb cuts (the small ramps in the sidewalk that allow us to move from sidewalk to street), until we have a need for them. The same thing is true with video captions. Captioning is not something in the forefront of my mind–until now. I’ll be honest, adding in captions takes time. And when I’m making a flipped video or quick tutorial for my students or teachers, I know I’m not going to want to stop and add in captions. But, I realize how essential this is to making my online content accessible to all, so it’s worth it. Please keep me accountable, especially once the school year gets busy. 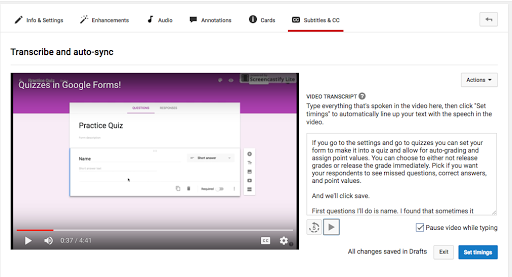 I tried out the “transcribe and auto-sync” feature on YouTube (go to your video > “subtitles & cc” > select language > select method > “transcribe and auto-sync”). For an almost 5 minute video, it took me about 20 minutes to transcribe and check my captions. 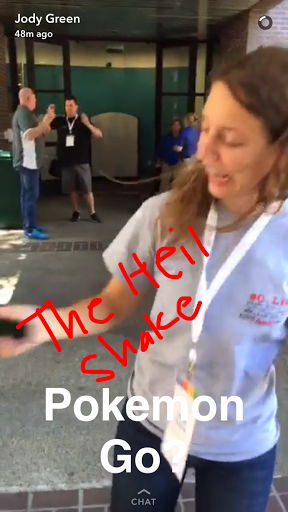 My favorite part of this feature is that I can set the video to automatically pause when I start typing. I would listen to a couple seconds, then start typing what I hear. When I was done, YouTube auto-synced my captions to the audio. It was easy! Double checking my auto-synced captions before publishing. Watch my accessible video here. Remember to turn on the captions! I challenge you all. Go to your YouTube channel, find your shortest video, and try out the “transcribe and auto-sync” captioning feature. I recently finished Tribes: We Need You to Lead Us by Seth Godin. While reading, I kept thinking to myself, “I want this. I need this. Where/how do I find this?” I want to be part of a tribe, and part of something bigger than myself. 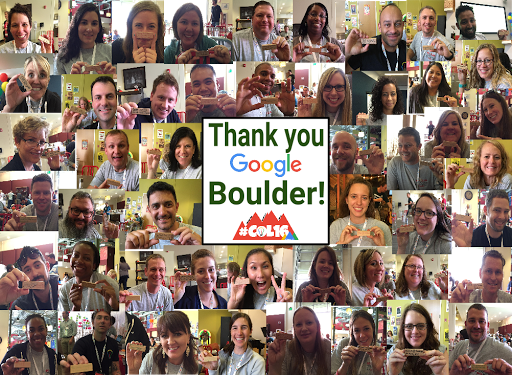 I’m so thankful that I found my tribe in my #COL16 cohort, part of the #GoogleEI family. First, let’s rewind. 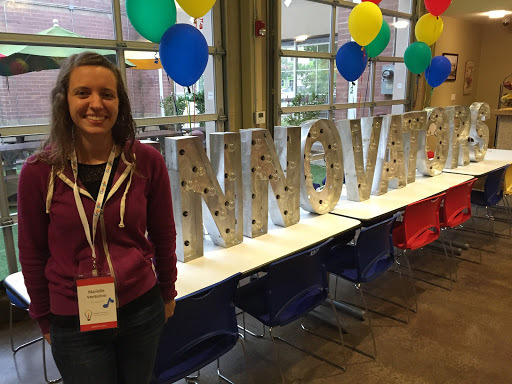 Back in January 2016, I applied for Google Innovator, but wasn’t accepted. By far, the application was not my best effort, and I readily admit that. However, I’m so thankful I didn’t get in the first time: I learned a lot through the process, and more importantly, I’ve transformed into a very different person since January (read more here). Coming to the COL 16 experience, I’m much more mentally mature, confident, and ready to tackle the world. 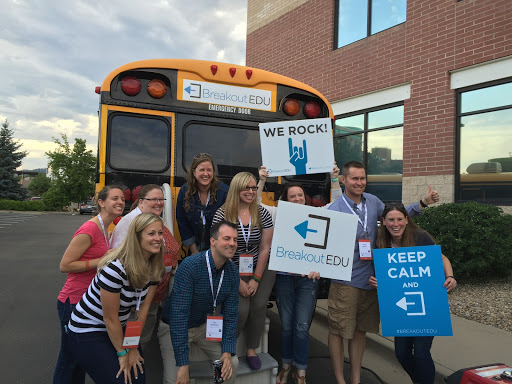 On Wednesday night I arrived in Boulder, Colorado (after spending Saturday to Wednesday at ISTE, reflection blog post coming soon) rested and ready to engage in 3 action-packed days. The following days were filled with time working in our teams (shout out to #TeamYoshi! ), in partners and small groups, and listening to some incredible humans inspire us to think deeper and dream bigger. Over time, I’ve built artificial walls around me, and told myself “I can’t do that” or “I’m not capable of achieving that” or even worse “I’m not good enough to do that.” After some incredible heart-to-heart conversations with friends and coaches this past week, I’ve realized that there are very few limits to what I can do; the walls around me are slowly coming down. for making our t-shirts happen! Shout out to Molly Schroeder for sharing her Spark session on “Living in Beta.” This concept pushes the boundaries of my 2016 One Word: intentional. With this mindset shift, I’m more willing to put out my ideas for feedback, iterate, and learn from failures. I hope I can see Molly’s full keynote sometime soon to revisit and think on my own “Living in Beta” journey. 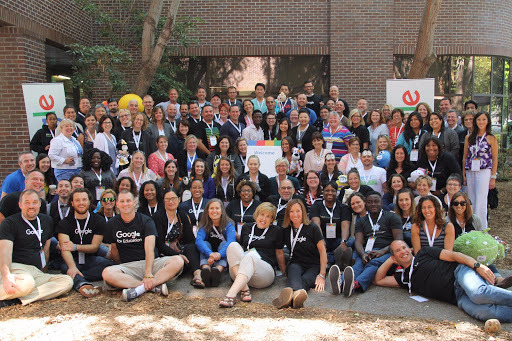 My #COL16 family is my tribe, and so is everyone else who has been through the Google Innovator Academy (previously Google Teacher Academy). 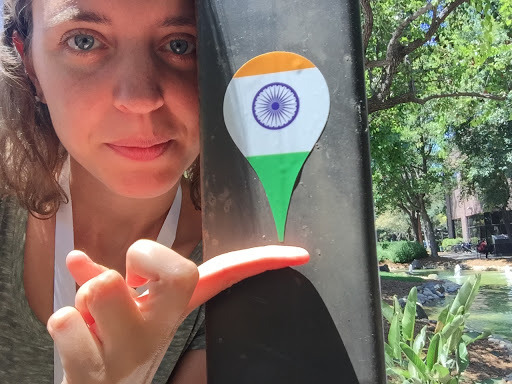 I felt the love from #MTV16 as they supported us through our adventures, and I felt the love from all the #GoogleEI friends I met and connected with at the Google Meet-up at ISTE. I’m thankful I can laugh, cry, and celebrate with my #COL16 family. I couldn’t ask for a more selfless, giving, creative, and crazy group of humans. 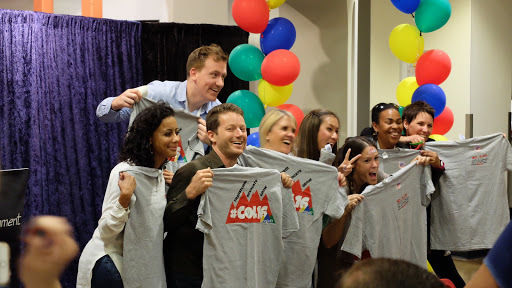 I appreciate everyone who worked hard behind the scenes to make our cohort possible. Hugs to our coaches: Jennie Magiera (Jennie in the back! ), Sarah Thomas, James Sanders, Sergio Villegas, Kern Kelley, and Molly Schroeder! Thank you program managers: Wendy Gorton, Becky Evans, and Michelle Armstrong! 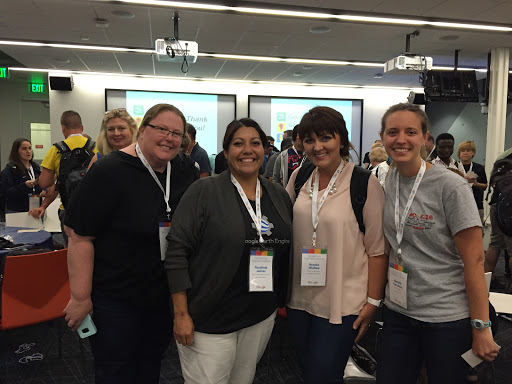 Thank you to all the other Google and EdTechTeam people for making this experience possible for us. Also, a big shout out to Justin Birckbichler and Ari Flewelling for your support and guidance through this process. I couldn’t do this without you!